As part of Peroni Nastro Azzurro's series of talks on Italian design, Dezeen editor-in-chief Marcus Fairs will chair a discussion with Italian designers Formafantasma at the RIBA in London on 26 April. The talk will focus on their work and trends in Italian design, leading to a discussion with the audience. Tickets are free but must be booked in advance – email peroni@77pr.co.uk to request tickets. Watch an earlier Peroni Collaborazioni Talk with Fabio Novembre on Dezeen Screen and read the entire transcript here. See all our stories about Formafantasma here. Italy is globally renowned for its ability to consistently create some of the most iconic pieces of design. Indeed, the country boasts a long list of well known designers who have become global names in their own right including Fabio Novembre, Alessi, Mendini and Piano. Their success has been built from a unique set of values and traditions that result in beautiful, stylish yet ultimately practical products. The Peroni Collaborazioni Talks celebrate these values and traditions of craftsmanship, passion and attention to detail so often found in Italian culture and trends by bringing together the collaborative design duo Andrea Trimarchi and Simone Farresin. They will share their view on what lies ahead for the future for Italian design and its role in product design. The evening will offer a unique insight into the personal reflections and anecdotes from FormaFantasma focusing on their combined interest in Italian craftsmanship, whilst creating and encouraging an audience discussion and debate around the importance of Italian design, its values and heritage. communication design and their interest in product design developed during their Masters degree at the design Academy Eindhoven. Their combined love for classic craftsmanship has lead them to analyze and re-evaluate the relationship between “local cultures and global contexts” - translating those crafts into industrial processes and pushing the boundaries by working with unique and unusual materials, including bread. 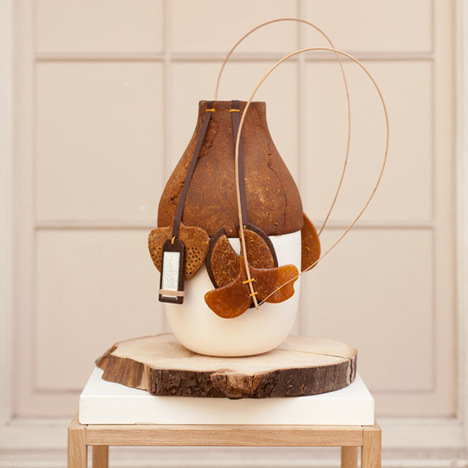 More recently the duo has embarked on a project with Fendi, working specifically with leather and looking at the complex relationship between humans and nature as part of Design Miami. Peroni Collaborazioni will be hosted by renowned design journalist and critic Marcus Fairs and is the last in a series of talks which examine the past and future of Italian style and design. Previous speakers include Fabio Novembre, Angela Missoni and Anna Dello Russo. Viewers can watch previous talks by visiting www.facebook.com/peroniuk. For those unable to attend the talk can post questions by using the twitter hash tag #PeroniTalks. Peroni Nastro Azzurro has been brewed in Italy to an original recipe since its creation in 1963. Peroni Nastro Azzurro is brewed with the same Italian passion that goes into the country's iconic exports to create a clear pale lager made from the finest spring-planted barley and Italian maize combined with malts and hops to create the highest standard of premium beer. Visit www.PeroniItaly.com for more information.